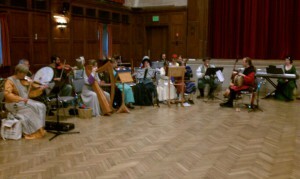 I’ve been playing dance music in the SCA for over 7 years now. I’ve led some pits, been second in command of the pit many many time. I’ve been the lone musician playing dance music. I’m in a small dance band. 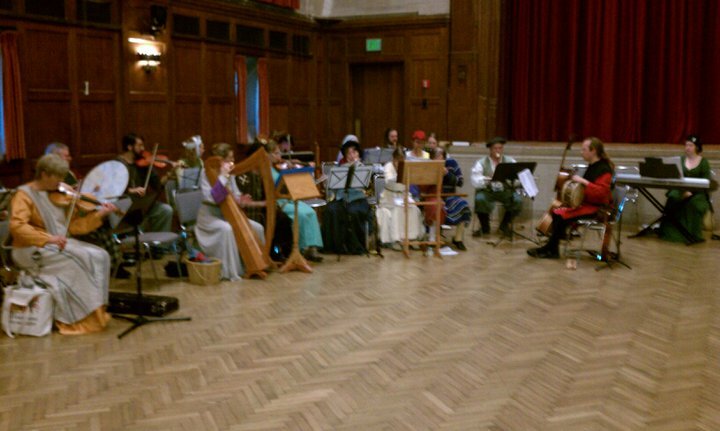 I’ve played for Modern ECD and Contra dances. In short, I know a thing or two about being a dance musician. If you’re just beginning playing dance music, this is my advice to you on how to get to be a great, reliable dance musician. The kind of musician that dance masters gravitate toward, and the kind of musician that makes pit leaders happy. The kind of musician that gets asked to lead pits. If your local group has a dance practice, you should make every effort to go and play for it. Dance practice is the best place to learn to play dance music. The Best. Hands Down. Why? There are more dance practices than there are events with dancing. The more often you play for dancers, the better a musician you will be. Dance practice is an appropriate place to learn unfamiliar music. At an event you will likely only play the dance once, and you’ll want to play it well. The event is not the place to sight-read new dance music. It’s the time to perform dance music. You will probably be allowed to play through the piece at practice while the dancers are running through the dance. At an event, that’s gauche. There will almost certainly be fewer musicians at a dance practice than at a ball, meaning the dancers will depend on you. This is a good thing. It’s very motivating. It will make you a better dance musician. In a large open band you don’t have that same motivation because there are a lot of people covering your part. So, if your group has a regular dance practice, make every effort to go. And when you go, always play at dance tempo. I hear way too much whining about how dance music is too fast. Deal. If you’re not quite up to playing at dance tempo, and you’re the only musician at practice, play along to the recording the dance master brought. There’s a good chance the recording is in the same key as your sheet music. Play as many notes of the piece as you can. If you keep playing you’ll eventually get better. If there are other musicians at practice, muddle along with them. Get as many notes as you can. Eventually you’ll get it. If you’re frustrated at not being able to play all of the notes, use that frustration to motivate yourself to practice at home. While you’re at practice, take the time to learn some of the dances. By dancing the dances you develop an intuition about tempo. Roadmaps become easier to remember. You learn about regional variations. You’ll learn how to make dance music fun to dance to. You’ll get to know the people in the dance community. Not to mention that there may be times when a private band is playing for all or part of a dance. If you know the dances you can still do something at the ball. Pick a ball with an open pit. Work on the music for that ball. When I’d been playing recorder for only a few months, I moved to the Barony of Bryn Gwlad in Austin, TX for a co-op tour at AMD. In late winter the Barony celebrated Candlemas, and there was a ball in the evening. I think there were maybe 10 dances in that ball. I worked to be able to play every one of the dances. Looking back, I believe that ball, more than anything else, jump-started my dance musician skills. I was lucky in that the other dance musicians were not so far ahead of me that they were bored of playing through dance music at rehearsal. The fact that we were all struggling together helped a lot. But I think just the fact that I had an achievable goal was really helpful. I learned all of those pieces, and learned them well enough that when I encountered them back home I was solid. So, pick a ball. Plan to be able to play 10 or so pieces well. By well, I mean you learn the melody well enough that if no other musicians showed up you could play those dances for the dancers. If there are more than 10 pieces in the ball, either sight read or dance the rest. If you want advice on which dances to include in your list of dances to learn, ask your dance master which dances are the most popular. Any dance master worth their salt will be able to give you a good answer. If you really want to get good at playing dance music, spend a war just playing dance music. Live in the dance tent. Play for classes. Play at every ball you can. Stay up late and play for the dance geeks. If the evening balls have private bands, go dance and listen to the band. Get to know the dancers. Get to know the other musicians. I go to Pennsic. For the first few Pennsics I attended, I spent a lot of time in dance tent. I played for classes. I played in the pits. I stayed up late in the hopes of getting to play with musicians who knew what they were doing. All of this helped me to be a better dance musician. If you have other interests, but would really like to improve at dance music, sacrifice one war to focus on dance music. Seriously. If you’re spend a fair amount of your war on non-dance music stuff, you’re missing a valuable, fun opportunity to up your game. And honestly, if you want to get very good, skip the large open band parts. Play for the classes. Nap during the beginning of the balls, and show up to the dance tent late. The times when the pit is tiny is where the real action is. Why listen to recordings? You’ll get an ear for what good dance music sounds like. You’ll get embellishment ideas. You’ll learn how to make a dance like Picking of Sticks sound fresh with each repeat. If you spend a lot of time playing dance music, you’ll soon find there are a number of tunes you have memorized. Or at least there are few tunes you now find boring, but are still asked to play. What do you do? The place to experiment is at dance practice. The dancers at a practice just need music that’s danceable. A sour note here or there won’t ruin the dance. Eventually you’ll learn what works and what doesn’t. For more ideas on appropriate embellishments, read through some Ortiz. That’s it. Play for dancers as often as you can. Focus on opportunities where the dancers depend on you. The end.